Unable to Login, How Do I Reset ShareFile Password? If you have forgotten your ShareFile account password, you can reset it from your ShareFile account login screen. 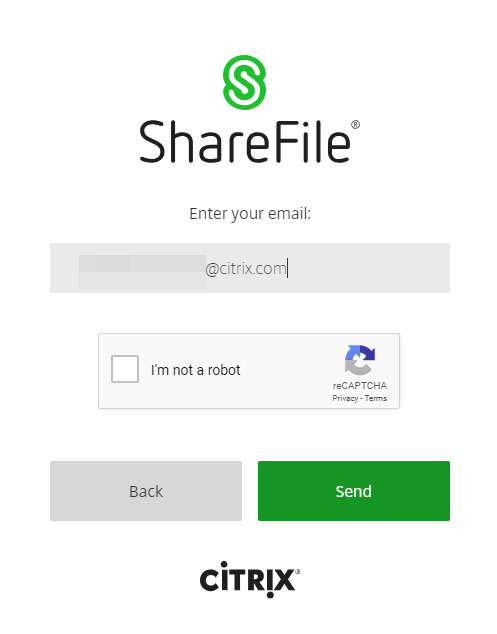 Important: ShareFile password reset uses the reCAPTCHA tool for verification. reCAPTCHA is not supported by Microsoft Edge. See ShareFile No Password Reset in Microsoft Edge for more information. Utilizing your ShareFile domain name, navigate to “yourdomain.sharefile.com” and click the Forgot password? link below the login button. The ShareFile system will send you an email that contains a link to reset your password. This link will expire after 15 minutes. Each time you send a password reset, the previous reset link will expire. Under Change Password, enter your old password prior to creating a new one. These requirements cannot be modified.